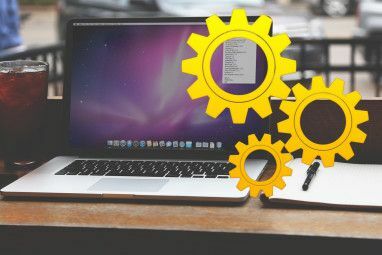 A while ago we gave you quick fixes for 11 common Mac problems and quirks 11 Quick Fixes for Common Mac Problems and Quirks 11 Quick Fixes for Common Mac Problems and Quirks Did you know many of the common Mac issues and quirks that users report can be fixed simply by changing a few settings? Read More . Today, we’ll take a look at workarounds for eight more potential macOS annoyances. Keep in mind that not all the issues listed here are system glitches. 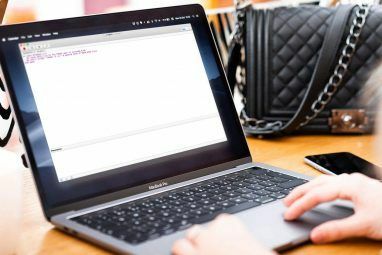 Some of them are features that are either less than ideal or don’t align with how you use your computer. macOS doesn’t let you quit Finder. You can only close Finder’s active window — the app itself will continue to show up in the app switcher and appear as “active” in the Dock. This can be annoying, especially if you always rely on Spotlight to bring up files Search More Efficiently In Mac OS X With Our Top Spotlight Tips Search More Efficiently In Mac OS X With Our Top Spotlight Tips Spotlight has been a killer Mac feature for years, with Cupertino regularly schooling Redmond in the art of desktop search. Here are a few tips to help you find more on your Mac. Read More and folders for you. Reverting to the default behavior of Finder is just as easy. Use the same sequence of commands as above, only replacing “true” at the end of the first command with “false”. Note: A side effect of programming Finder to quit is that the Trash icon in the Dock stays unresponsive unless you open Finder first. When faced with the iCloud error message shown below or an iCloud authentication dialog, you open iCloud Preferences… and enter your iCloud password when prompted. That should make the prompt go away, right? In some cases it doesn’t. Either the login prompt or a login error message keep popping up over and over again at random times, often when you restart your Mac. That’s the “iCloud login loop” you’re dealing with. It’s a known bug, often caused by a faulty Wi-Fi connection or an update gone wrong. To get rid of the recurring sign-in prompt, sign out of your iCloud account from System Preferences > iCloud, restart your Mac, and sign into iCloud again. These steps got rid of the authentication failures for me. Is the problem persisting for you? Disconnect iCloud from individual apps like Reminders and Messages before you sign out of iCloud. Then reboot your Mac, sign into iCloud, and connect the apps again. Unlike the “iCloud login loop” problem we discussed above, the login keychain problem is not because of a bug. If you’re asked to enter the login keychain password every time you log into your user account, it’s most likely because that password doesn’t match your current user account password. In the Current Password: field, type in the old password of your user account, i.e. the one you currently use to gain access to the login keychain. In the New Password: and Verify: fields type in the current password of your user account and hit the OK button. You can now close the Keychain Access app. The recurring password prompt shouldn’t bother you anymore. In case you have forgotten the old password of your user account, you might have to create a new login keychain. You probably never visit certain sections of System Preferences now that you have set them up to your liking. But the icons for those sections still show up, and you wade through them to get to the settings you want. You don’t have to! Hide unused or rarely used sections in System Preferences via View > Customize… For each section icon that you want to hide, deselect the checkbox that shows up next to it. Hit the Done button next to the window title to save the changes. Of course, decluttering the System Preferences dialog is just one way to find settings faster 3 Tips for Finding OS X System Preferences Even Quicker 3 Tips for Finding OS X System Preferences Even Quicker With so many settings in the System Preferences dialog, finding the right one can take more time than necessary. Here's how to speed it up. Read More . You have the Mail app open, and you’re reading an email with an attachment. Now if only you can find the attachment. There is one for sure, or so the “paper clip” icons in the message header and the message list tell you. But you can’t see the attachment no matter how many times you deselect and reselect the email. This problem has been around for several years now, and there’s no quick fix. At least not for everyone. You can force the phantom attachments to show up by rebuilding the relevant mailbox with Mailbox > Rebuild. This solution has proved quick and effective for me on many occasions. Rebuilding a mailbox is time consuming if the mailbox has many messages. There’s also the risk of losing them, as some users have reported. Recovering the messages is possible, but it’s not a given. Also, for IMAP and Exchange accounts, Mail deletes the messages from your Mac and downloads them again from the mail server. This equals bandwidth consumption. To keep your inbox intact, it’s best to switch to webmail to check out the missing attachment. If AWOL attachments and garbled messages turn out to be a recurring problem, it would be best to rebuild the mailbox. Be sure to research how to keep your messages safe first. Note: You can’t discount the possibility that the missing attachment might just be an email signature or a company logo. The disappearance of the “clean up” options is not a flaw — you’re meant to see those options only when you haven’t chosen to auto-arrange files and folders. If you rely less on Finder search and more on manual navigation to find files and folders, you’ll appreciate this upcoming shortcut. It allows you to jump to the top in the active folder’s hierarchy without having to click on the Back button a bunch of times. Let’s say you’re viewing the contents of the Downloads folder. Hold down the control key and click on the folder title (“Downloads”) in the Finder window. You should get a dropdown menu that displays the hierarchy within which the Downloads folder lives. Check out the screenshot below to see what I mean. Click on any of the locations in the hierarchy list and Finder transports you there immediately. I use this shortcut to jump to the Home folder often. It allows me to hide the links to Movies, Music, Applications, and so on from the Finder sidebar and still keep those folders handy. Here’s another Finder shortcut you’ll want to know about: emptying Trash from the keyboard. Hit command+shift+delete when you have any Finder window open to clean up the Trash folder. 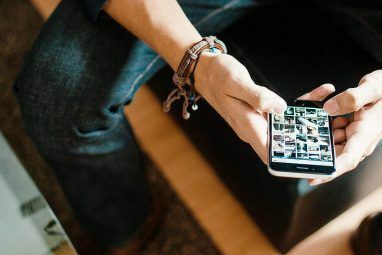 macOS has many useful pre-installed apps The Best Default Mac Apps That You Shouldn't Need to Replace The Best Default Mac Apps That You Shouldn't Need to Replace Here are some of the best default, pre-installed, native Mac apps worth using. Don't ditch them before you try them! Read More . Unfortunately, if you have deleted one of them, getting it back is not straightforward (unlike in iOS 10, where you can reinstall stock apps from the App Store). Restoring a stock application on macOS is still possible though, if you install an app like Pacifist (shareware). Pacifist allows you to extract files and folders from various types of archives including disk images (DMG) and package files (PKG). You can use it to reinstall any deleted or damaged stock application on your Mac if you have access to the macOS installer How To Install macOS & Save The Installer How To Install macOS & Save The Installer It's really easy to save the macOS installer to avoid multiple downloads, and worth doing even if you only have the one Mac. Read More . For example, let’s say you have deleted the Calendar application. We’ll show you how you can bring it back. After you install and open Pacifist, use either the Open Apple Installers or Open Package option to select the macOS installer in Finder and load its contents. The contents of the installer will show up as a nested set of packages. Look for Calendar.app under Contents of OSInstall > Contents of Essentials > Applications. Once you select Calendar.app, hit the Install button in the toolbar. Next, give the go-ahead for the installation, and enter your system password if prompted. That’s all the work you need to do to get the Calendar application back, as good as new. Note: Certain apps like GarageBand and iMovie are replaceable from the App Store. If they came bundled with your Mac in the first place, you can download them for free anytime. If they didn’t, you’ll have to pay for them first. What’s Your Biggest macOS Pet Peeve? No operating system is perfect. It can’t be, when there as many workflows and preferences as there are users Which Operating System Should You Choose for Your Next PC Which Operating System Should You Choose for Your Next PC Buying a new PC? You have more operating system choices than ever. Which should you choose? We'll give you an overview, along with advantages and disadvantages. Spoiler: There's no one best option! Read More . A feature designed to please the majority or provide maximum convenience might drive you insane. Look on the bright side: with a bit of research you can find a way to tone down the annoyance, even if you can’t get rid of it altogether. 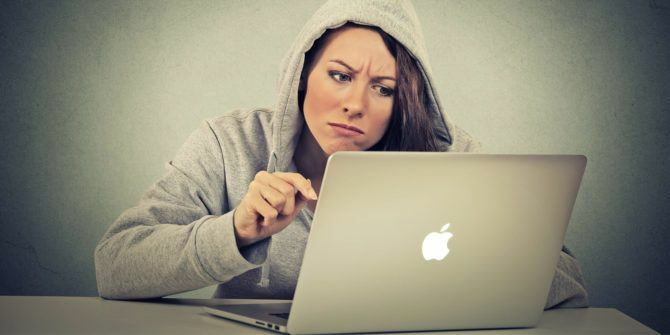 Which macOS feature or flaw annoys you the most? Have you found a fix or workaround for it? Explore more about: Apple Mail, iCloud, Mac Tricks, macOS Sierra, OS X Finder. My biggest peeve is the inability of Mail to reliably work with iCloud. Messages will often just disappear from the Inbox. Sometimes they will mysteriously reappear hours or days later, or not at all. So far, my only solutions is to not use Mail to check that account. That hasn't happened to me with the Mail app, but iCloud has posed a problem on other occasions. I hate having to resize Finder windows every time I plug a new USB flash drive - or even some I have already plugged and customized. And the fact that macOS Sierra firewall keeps asking me for permission when I open an app called Dukto (www.msec.it/blog/?page_id=11) even though I have already allowed it manually in the firewall's settings. I hate having to resize Finder windows, too. The Right Zoom app makes it somewhat less of an irritant because I can resize windows with a custom shortcut.